Chapman University presents WordTheatre® featuring acclaimed Hollywood actor Roger Guenveur Smith February 5 at 7 p.m.
WordTheatre® returns for a sixth season to Chapman University where celebrated actors bring America’s finest short stories to life through dramatic readings. On February 5, the University will host actor Roger Guenveur Smith who will perform the stories of John Edgar Wideman, a McArthus Genius award-winning writer―who will come from Brooklyn for this unique presentation of his work. 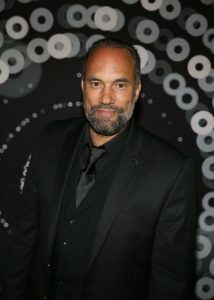 This event celebrates Black History Month and will feature internationally acclaimed Hollywood actor Roger Guenveur Smith of such films as Do The Right Thing, American Gangster, and Dope. Smith, along with Chapman actors, will perform readings of John Edgar Wideman’s short stories: Philadelphia Fire and Sent for You Yesterday. Smith is the voice for the audiobook of Wideman’s most recent Writing to Save A Life: The Louis Till File. Additionally, Smith is a performer of celebrated one man shows, including: “Rodney King” and “A Huey P. Newton Story.” His films include: Marshall, Dope, American Gangster, and Do the Right Thing. 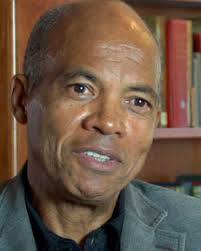 John Edgar Wideman was the second African-American Rhodes scholar and studied 18th-century narrative at Oxford. He played basketball for Penn State and wrote Hoop Roots: Basketball, Race, and Love. He writes short stories, novels, and nonfiction. His most recent book is Writing to Save a Life, which investigates the life of Louis Till, a man executed by the Army ten years before Till’s son, Emmett, was murdered. His award-winning novel Philadelphia Fire is based on the 1985 bombing of a cult. As an academically distinguished center of learning, Chapman University attracts extraordinary students and faculty from around the globe. Its ten schools and colleges foster a vibrant intellectual community, and provide extensive opportunities for students to learn, grow and discover alongside remarkable faculty. The University is home to some 8,000 students pursuing bachelor, master and doctoral degrees, and is alma mater to more than 40,000 alumni found throughout the United States and the world. Now celebrating its 156th year, Chapman is known for its distinguishing strengths in leadership and civic engagement, in the arts and entertainment disciplines, and in specialized sectors of technology and science. The University is comprised of its main campus in Orange, California, and the Rinker Health Science campus for graduate health science programs in Irvine, California. Visit us at www.chapman.edu.